Mariah Carey and her billionaire boyfriend have some big news, according to E! News, which reported Thursday that the pair is newly engaged. But who exactly is James Packer? Miss Mimi hasn't been shy to show how much she loves her man. Packer is an Australian businessman with a net worth of $4.7 billion by Forbes' estimates. The 48-year-old comes with a media legacy set by his father Kerry Packer and his grandfather Sir Frank Packer, who formed Consolidated Press Holdings Ltd. in 1936. But after his father died, Packer chose to step away from the media business and focus on casinos. He established Crown Resorts, Australia's largest entertainment and gambling corporation, out of Publishing and Broadcasting Ltd. in 2007. Packer stepped down as chairman and eventually from Crown's board late last year to focus on other projects. Carey and Packer met in the summer of 2014 at an Aspen premiere for the film Hercules. The mega-singer hasn't been afraid to discuss her whirlwind romance, telling Steve Harvey last November, "We were talking and laughing and people were getting mad at us and stuff like that. So we hit it off." After Harvey noted that Packer was lucky to have Carey, she smiled and replied, "I'm lucky too!" During the interview, Harvey wasn't shy in pointing out that Carey's neck was adorned with a pretty balling diamond necklace, which turned out to be a gift from Packer. The newly engaged couple has slowly moved more and more into the public eye, having been photographed at various red carpets in recent months. 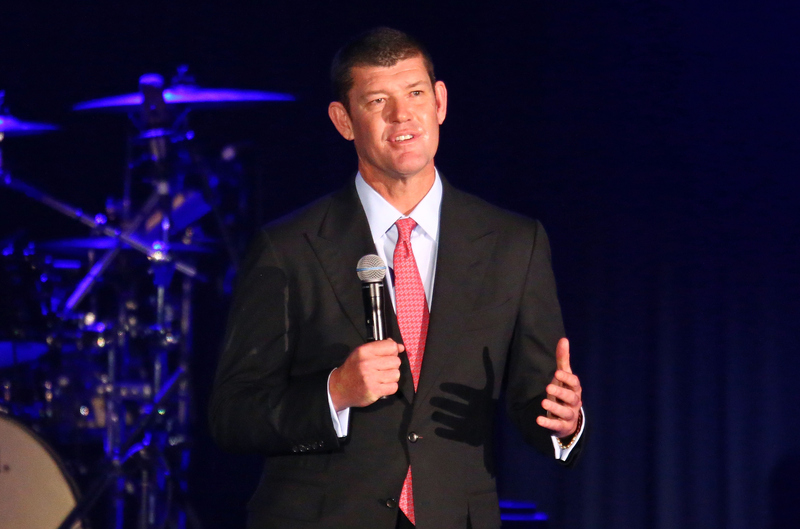 Packer even introduced Carey at a special 2015 New Year's Eve event in Melbourne, Australia. "I don't even have words for the man who introduced me tonight," Carey told the audience after taking the stage. "Let's just say, the amazing Mr. James Packer." May the happy couple soon enjoy marital bliss!